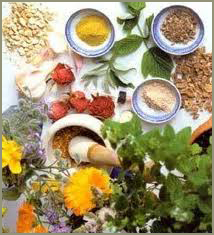 Ayurveda is a science which evolved in India around 600 B.C. legend has itAyurvedic and pack that ayurveda system of medicine was instructed to the ancient sages by the gods themselves. It is not just another system of medicine, it is indeed a science and way of life. It is the harmony of body, mind and soul. The word itself is derived from two sanskrit words - AYU meaning life and VEDA meaning knowledge. 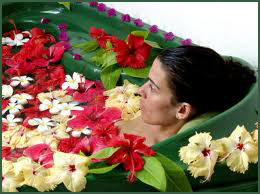 Ayurveda always stressed on the prevention of body ailments in addition to curing them. It believes in the treatment of not just the affected part but the body as a whole, making it the natural way to refresh yourself, eliminate all toxic imbalances from the body and thus regain resistance and good health. This science focuses on living life naturally and teaches how to live in this universe without disturbing the delicate balance of nature. According to ayurvedic texts, the human body is comprised of five elements of nature: ether, air, fire, water and earth. Ether - is space, in particular the cellular, synaptic and visceral spaces which allow the tissues to function efficiently. Air - governs movement in the body. The sensation that is felt when someone touches The skin is transported to the brain through movement. Other examples include breathing through the movement of diaphragm as well as shifting of thoughts & desires. Fire - represents the qualities of change and transformation. It is therefore, the element Relative to disgestion, absorption, assimilation and body temperature. Water - takes many forms in the body such as saliva, plasma, mucus and urine - at the Same time it is necessary for healthy cell functions. Earth - is the element which forms the solid structures of the body like bones, cartilage, teeth and skin etc. As in the traditional Chinese medicine, the ayurvedic system views the human body as a miniature of nature and therefore, the elements listed above are used to create the structure of the body. These structural aspects are then combined to creat three doshas (a sanskrit word for forces that disturb) which are responsible for the functional aspect of the body. The three doshas are a combination of two of each of the elements and are used to determine the individual's primary constitution and the factors which contribute are detrimental to the harmony in the body. The 3 doshas are: VATA - is the combination of the air and ether. PITTA - is the combination of water and the fire. KAPAH -is the combination of water and the earth elements. Amla and Neem The Indian System of nature cure : Ayurveda or the 'science of longevity' is the Indian system of nature cure. It is known to promote positive health, natural beauty and long life. Although rooted in antiquity, ayurveda is based on universal principles and is living, growing body of knowledge as useful today as it was in earlier centuries. 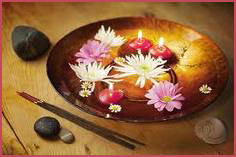 It is said that ayurveda is old as the world itself. Its very basis is the spiritual knowledge of the ancient seers of India and the cosmic consciousness in which they lived. Its strength lies in its broad, all encompassing view of the dynamic inter-relationship between organic physiological proccess,A display of Ayurveda products external factors including climate, life work and diet along with the internal psychological and spiritual condition. Ayurveda believes that disease occurs not as an arbitrary phenomenon but for definite reasons which if correctly understood could help to cure and, more importantly, prevent recurrence of the disease. Ideally human beings and nature should be in perfect harmony. Disease occurs when the equilibrium between these two is disrupted. Ayurveda, with its tridosha or three humours system, is able to provide a complete understanding of the cause of health in terms of metabolic balance. Disease is simply understood as an imbalance between the nerve energy (vata), catabolic fire energy (pitta) and anabolic nutritive energy (kapha). All foods and experiences have an effect on the overall balance of these respective humours. Ayurveda therefore aims to keeps the three humours in equilibrium for only then can perfect health be attained and maintained. In ayurveda diagnos is more subjective than objective. But the comprehensiveness of the examination offsets any deficiencies because of subjectivity of the diagnosis. Ayurveda aims to solve many health problems. Ayurveda health In Ayurveda, health promotion, beauty management and healing rely on freeing the body of ama(toxic material resulting from incomplete digestion), restoring sound cellular nutrition, facilitating complete elimination and re-establishing the balance of the doshas. This is gradually achieved by following an appropriate diet and lifestyle. Commonly called panch karma, ayurvedic rejuvenation therapy is the oldest scientific system for detoxification and renutrifying the body. Ayurvedic rejuvenation therapy can be used as a program to improve good health, enhance natural good looks,or initiate cure of a disorder. Traditionally undertaken as a preventive therapy at the change of seasons, both winter to spring and summer to fall, the aim is to cleanse the body not only of waste materials that may have accumulated in the body. It is also an excellent, completely fresh start in the process of making health supporting lifestyle changes.